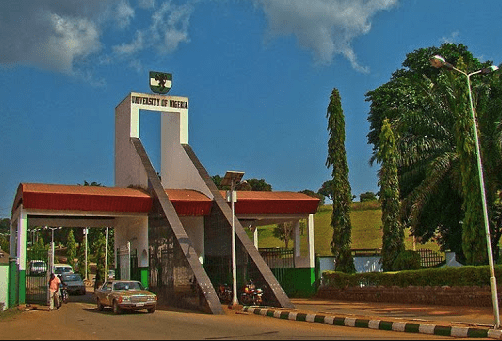 UNN Postgraduate PG Admission Form 2017/2018 Session is Out. The University of Nigeria, Nsukka (UNN) offers programmes leading to the award of Postgraduate Diplomas, Master’s and Doctorate degrees in various Faculties and in the areas specified under each Department/ Institute /Centre for the incoming 2017/2018 academic session. i) Holders of Credit (Upper credit) level passes at HND or its equivalent in relevant areas (for programmes in the Faculties of Agriculture and Business Administration; the Departments of Political Science, Public Administration & Local Government; and Vocational Teacher Education; and for Postgraduate Diploma in Electoral Administration Programme). Qualifications such as AIB, ACCA, ACMA, ICAN, BEEC, CPA, etc may also be considered for admission. iii) For Postgraduate Diploma in Geoinformatics & Surveying in particular, candidates with third class honours degrees in Geography, Geology and other Physical Sciences, HND Upper Credit level passes in related fields, are also eligible. iv) Candidates who hold qualifications other than the above which are acceptable to the Board of the School of Postgraduate Studies and Senate of the University, may also be considered for admission. vi) For MPH degree programme, candidates should in addition to (i) above, have at least three years relevant post qualification experience or at least a Second Class Honours degree in Nursing Sciences, Sociology and Social Work, Psychology, Medical Mircobiology, Medical Biochemistry, Medical Laboratory Sciences, Health Education, Pharmacy, DVM, MBBS and BDS. For MPH Degree Programe, the Department will screen the candidates further and base their recommendation on such screening result. -A minimum GPA of 4.0 on a 5-point scale is required for admission into Ph.D programme in the following Departments/Faculties: Music, Economics, Psychology, Education, Medical Sciences, and Health Sciences & Technology. -A minimum GPA of 3.0 on a 4-point scale or a B (60%) average provided that satisfactory research work formed part of the Master’s Degree programme. i) A candidate with first class honours from a recognized University may be admitted into a Master’s/Ph.D. programme in his/her discipline. ii) A candidate with Master’s degree from a recognized University with a GPA of 3.50 on 5-point scale or 3.00 on 4-point scale shall qualify for the Master’s/Ph.D in a related area. Any candidate who is not qualified for Ph.D. programme on account of low GPA is still not qualified for admission into Master’s/ Ph.D. programme. Candidates should download 3 copies of the referee report (D1) forms after completing preliminary and personal details online. Some details on the form would be inserted automatically with the information provided by the candidate online while the remaining information should be completed by the referee manually and returned to the candidate who will enclose it in sealed envelope for submission. Please note that applications would not be processed unless the referees reports are available. Candidates should download transcript request form (D2) also provided online, and submit same to their former Universities/ Institutions to forward, with a copy of their Academic transcript(s), to “The Secretary, School of Postgraduate Studies, University of Nigeria, Nsukka”. Candidates whose transcripts are not received on or before the deadline by the School will not have their application forms processed. Most information required would be completed online. However, a copy of the online completed application form should be downloaded and printed. The printed application form with the relevant documents as listed below should be posted or delivered to the Secretary, School of Postgraduate Studies, University of Nigeria, Nsukka, for Nsukka based faculties. Candidates for Enugu based faculties are to submit their application forms by post or delivered to: The PAR, School of Postgraduate Unit, University of Nigeria, Enugu Campus. a) NYSC Certificates (Discharge or Exemption or exclusion Certificate). Note that to whom it may concern shall not be accepted. c) All accompanying documents should be placed in the file Jacket, specified in (ii) and the File Jacket should be placed in brown envelope as specified in (i) above. d) All documents must fit into the 10” X 15” envelope and delivered or addressed and sent by courier to “The Secretary, School of Postgraduate Studies, University of Nigeria, Nsukka” or to the Principal Assistant Registrar, School of Postgraduate Studies Unit, Enugu Campus for Enugu Campus-based postgraduate programme. Full details of available programmes would be uploaded later.